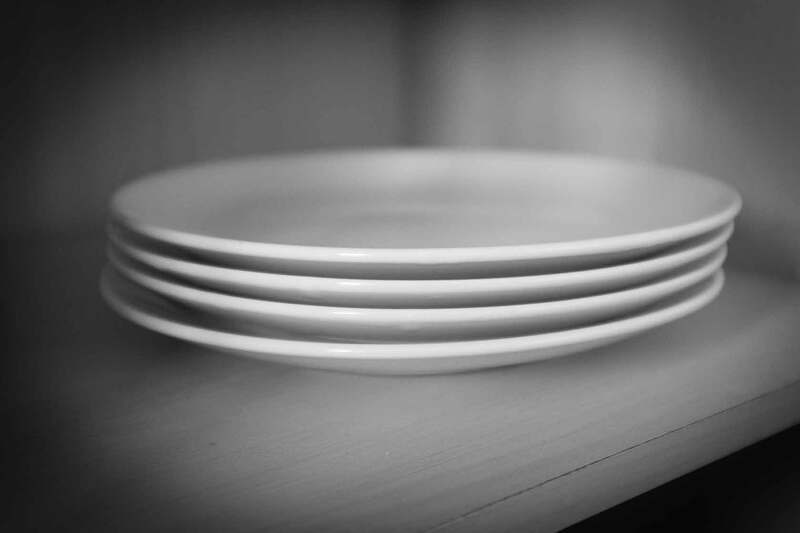 I have 4 large plates, the ones you eat dinner from. They are an unexpected symbol of my Minimalism. They are the brunt of humour from my friends and colleagues, only 4 plates ?! Do you not need more than that? Is there not plate related trauma in your house ? How on earth do you survive ? I have been asked about them by writers and journalists. I maintain a healthy sense of humour, but I don’t get it. There are 3 of us in the house, thats a plate each, we even have a spare. If they are clean we have one each and more. If they are dirty, they are washed. I was surprised to hear we need another 4. The ones that are in the dishwasher and the ones that are used. Did I miss something ? Guests, well, we seem to manage. None of them have mentioned the plate situation. One of them did ask to see the celebrity plates so many people talk about. There was an accident, a plate was dropped. We have 3 now. No spare. I recently came across your blog via a BBC article. This post has really made me think. It’s amazing how strong the need is to keep something for “just in case.” I’m down to my last nice solid whiskey glass and have so far resisted the temptation to buy more and continue to serve friends in a series of mis-matched glasses. 🙂 Don’t know how long I shall last, though. Thanks for your blog and keep up the insightful posting.